WoOt WoOt! 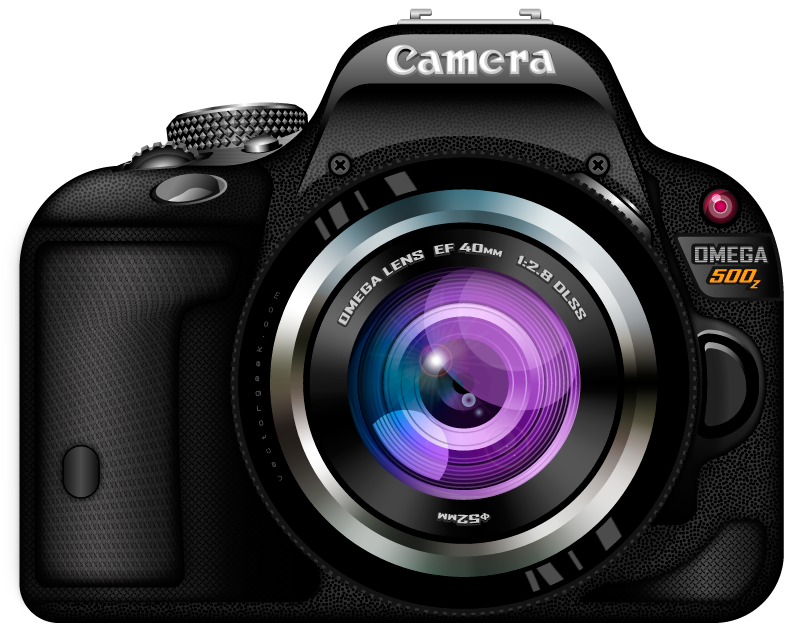 It’s about that time again …GFW at the Jersey Shore! It kicks off every Friday through Sunday (ends in the evening). Make sure you stop by and grab a copy of this beautiful large canvas print, specially priced for GFW :D.
Sold exclusively at the Jersey Shore. 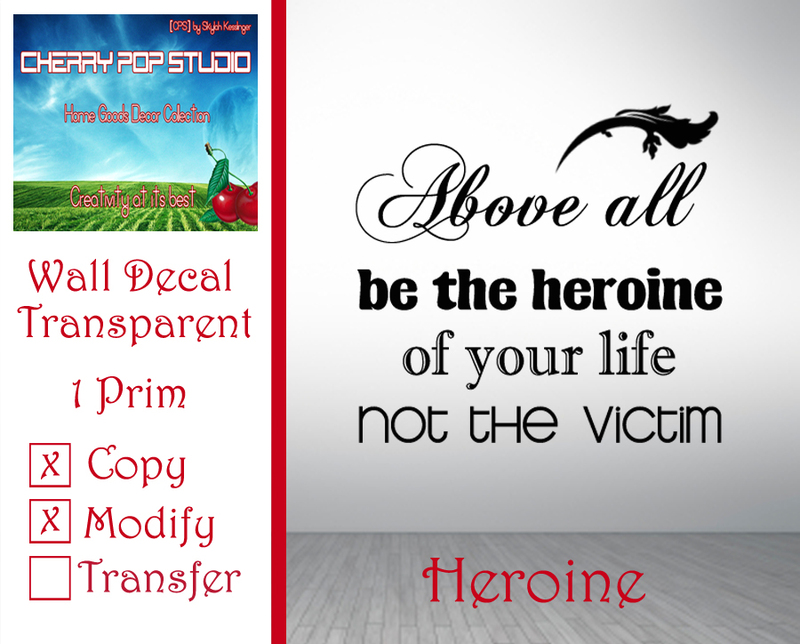 I created an awesome wall decal as homage to the strong women who are not afraid to take charge and live life with no regrets. 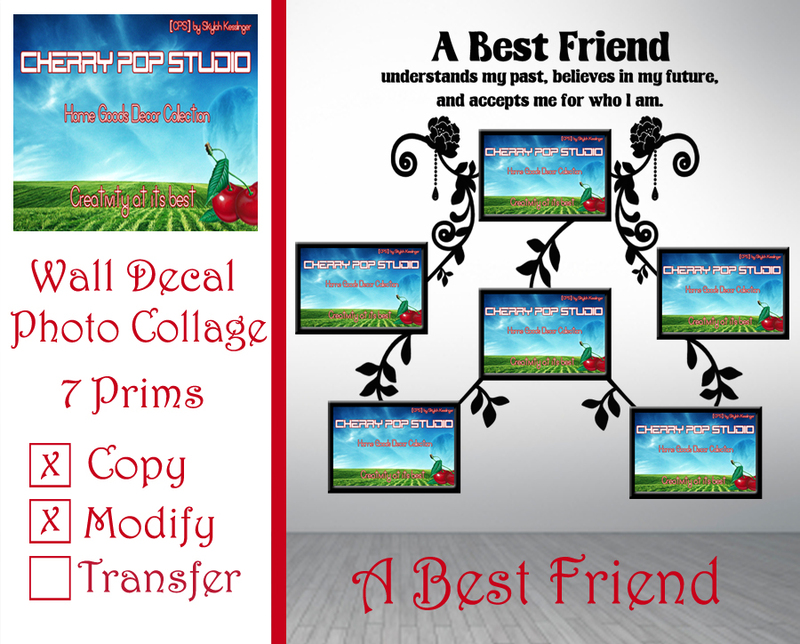 A tribute to besties, I created a lovely wall decal + photo collage to share your memorable moments. This beautiful decor piece is only 7 prims! 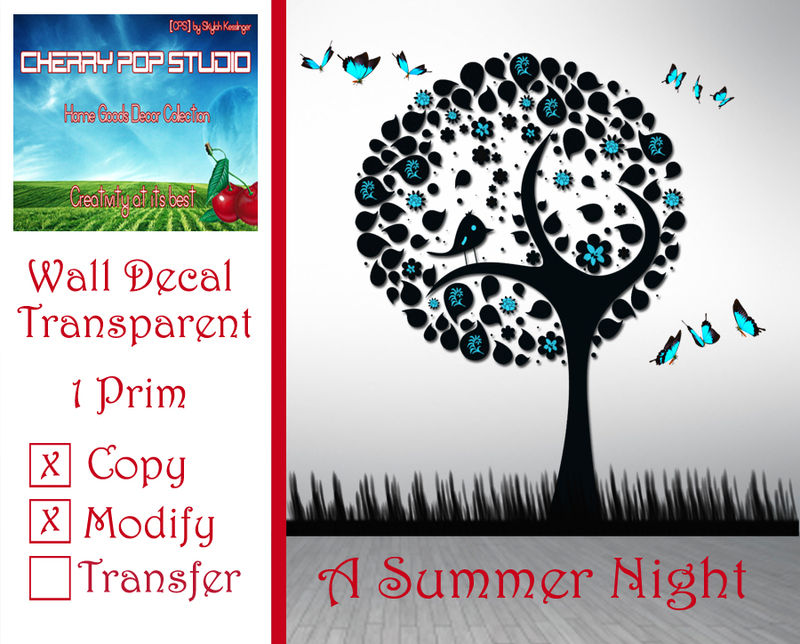 Inspired by the beauty of a gorgeous summer evening, I created a lovely black and teal landscape decal. 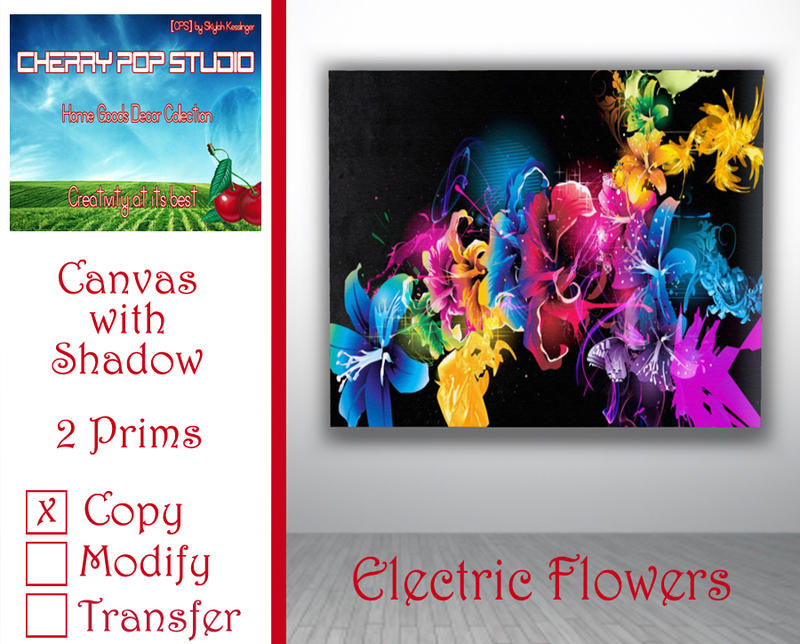 Inspired by a childhood favorite nursery rhyme, I created a lovely canvas print set. Each panel has a distinct color and font adorned with cute little birds. Inspired by Summer, this week’s promo includes 2 festive summertime fun decals.